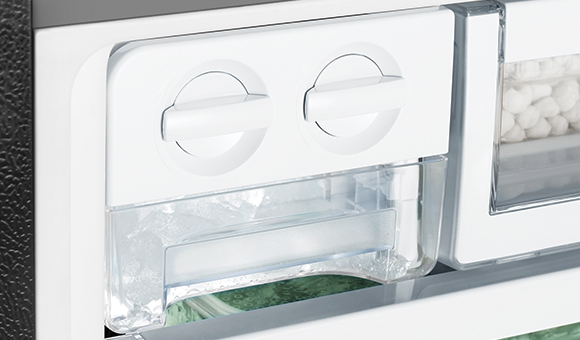 280L Top Mount Refrigerator is rated 4.6 out of 5 by 39. 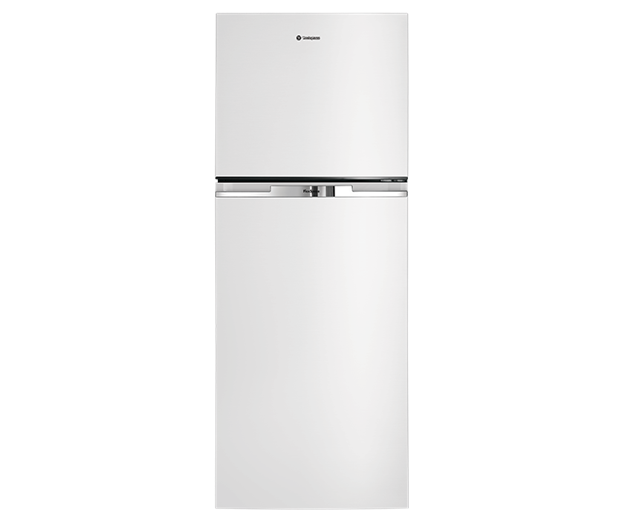 Rated 3 out of 5 by JanL32 from One problem solved, now happy with purchase Our last Westinghouse refrigerator lasted 17 years which was why I was happy to buy the same brand even though we could not get the same size to fit the space. 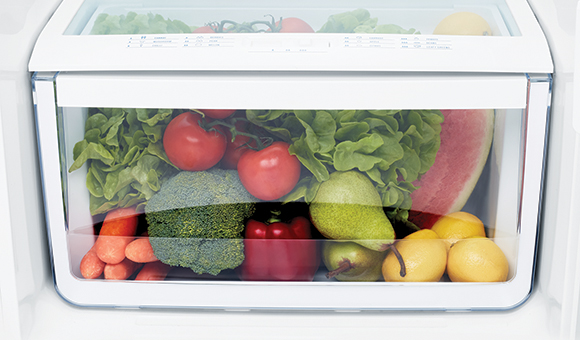 The only issue we have, apart from adapting to a smaller fridge, is the condensation occurring in the vegetable bin but now I put Chux or sponge on the bottom and a tea towel covering the vegetables, this has solved that problem. It would be good if this issue could be looked into for future refrigerators. I would have liked to replace our old fridge with a similar size, but as this wasn't possible and there's now usually only 2 people in the household, I'm mostly satisfied with our purchase. Rated 4 out of 5 by John and Helen from Good value. We are pleased with the Vinyl type finish on the sides and the shelving size and available height settings but have been surprised that if you don't push the doors closed hard enough, they can spring back open, this could be a problem if you have just bent down to the bottom crisper after you thought the freezer door was shut. Also a digital temperature setting would be an improvement on numbers that don't mean much. Rated 5 out of 5 by Braebourne from Perfect for a small space. The fridge is small but perfect for the narrow space my kitchen provided. 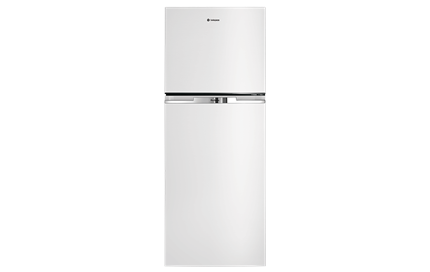 It is very light inside making it easy to find food, clean looking with the white light and adequate space in both fridge and freezer for one or two people. I love the twist ice trays too. 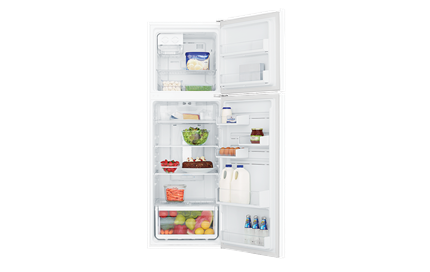 Rated 5 out of 5 by Harlan from Great product and service This fridge is great. 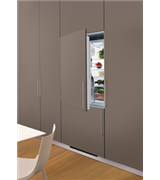 It's relatively quiet and the interior spaces in the fridge and freezer are flexible and useful. 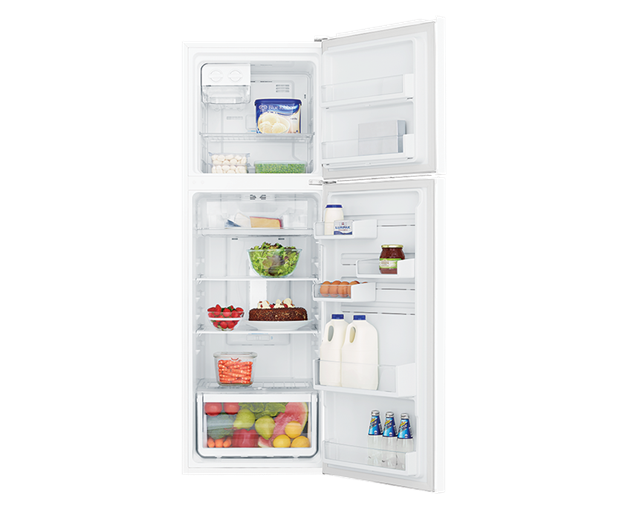 The freezer in our last fridge had the same gross volume, but we could never fit things in easily; this freezer is a good shape and layout and easily accommodates everything we need. 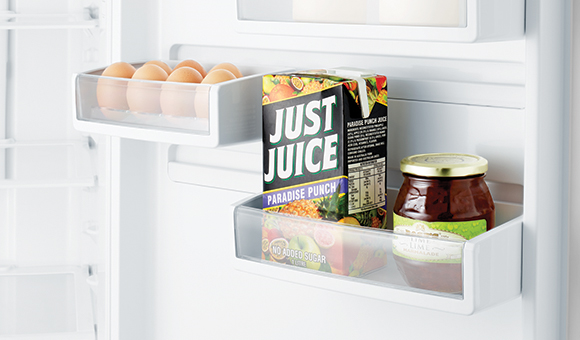 The fridge also keeps things nice and cold but importantly, it doesn't freeze things! We are very happy with it. 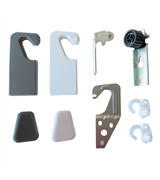 The delivery and installation service provided by Appliances Online was also excellent. Professional and friendly delivery team, they came when they said they would and installed the fridge without any issue. A much better experience than with some of the bricks and mortar stores in the past! 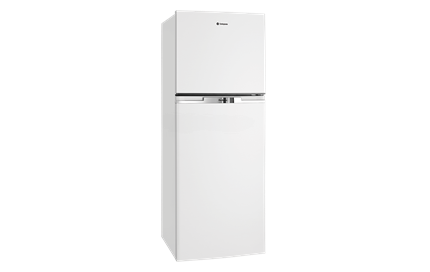 Rated 3 out of 5 by Sydney1 from Loud fridge, not recommended for a small home I've had the fridge for 9 months now, and although it looks good and functions as a fridge should, it is very loud. Not all all the time (sometimes it is silent) but when it makes noise, it makes a lot of noise. They'll tell you it makes 'sounds you're not used to' because it's a new energy efficient technology (good), but the fact is when you can hear your fridge running from 2 rooms away, over the sound of music or a TV, it's annoying. Not to mention if you have an eat-in or open plan kitchen and might want to enjoy a meal or conversation in the vicinity. 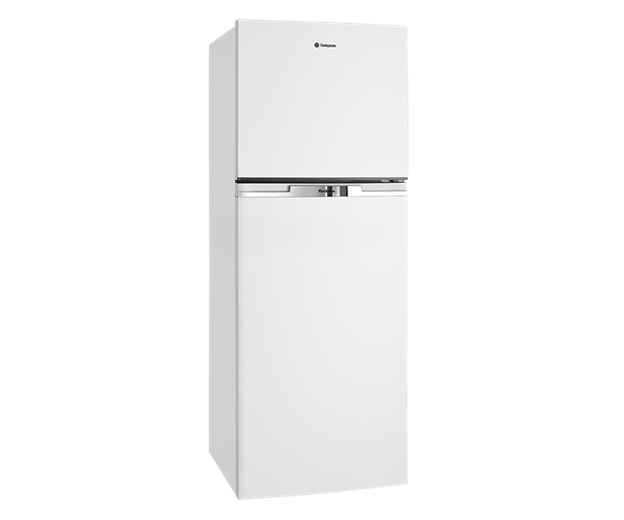 My 15 year old previous (Samsung) fridge was quieter (I hardly noticed it), and was in a smaller open plan lounge/kitchen where you could sleep on the couch a few metres away and not be bothered by it. With this one, I eat meals in the next room as it's too irritating. 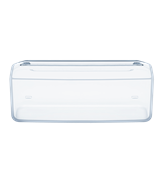 Rated 4 out of 5 by kpware from Good fridge - love the less shiny finish! Had the fridge for about 1 month and all working well. 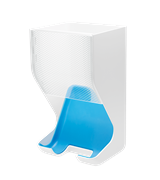 Ice maker is super handy and the white finish is really nice, not that glossy/plasticky finish you usually get but more matte. Doesn't show fingerprints so much! Only complaints relate to the door. Firstly, there just aren't enough shelves for the door. I guess the idea is you can put taller stuff in there but honestly I would just prefer the option of shelving across the whole door. Never seen a fridge door quite so bare before. Secondly, the door on both fridge and freezer have a really annoying catch mechanism that means if you don't close the fridge with reasonable force, the door just stops 2/3 of the way and stays open. Have caught ourselves leaving it open a number of times by accident. Rated 4 out of 5 by Steve59 from Good small fridge Bought this fridge to replace (I think) a smaller fridge that I had, had for many years as an upgrade. The new one is a little smaller in capacity than I expected but quite big enough for 1 person. It is taller but narrower than the fridge I replaced. I do like the fact that the freezer is frost free. It has got a larger vegetable crisper and a meat shelf that I didn't have before. Overall very happy.